When I first started my blog in 2014, I had no intention of making money from my blog. 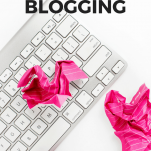 In fact, I had NO idea you could even make money blogging! 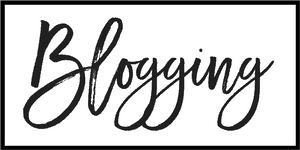 Now, years later, I’m SO grateful for my blog and the extra income it has brought me over the years (not to mention the fact that I genuinely LOVE doing it). 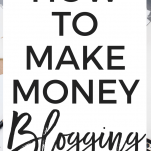 There are a lot of ways to make money blogging, so if you’re just figuring out how to monetize and trying to decide what the best fit for you is, keep reading to find out some ways you can monetize YOUR blog too! Before I jump into the different ways to make money blogging, I want to iterate that blogging is NOT a get rich quick scheme. I blogged for an entire year before I made a dollar. I know many bloggers who blogged far longer than that. You can absolutely make money faster than that, but it takes a LOT of work. Now that we’ve covered that, let’s dive into six different ways to make money blogging! Placing ads on your blog is by far the most passive way to make money blogging. And I think this is what many outside the blogging industry think of as far as how bloggers make money. I reality, sidebar and in-content advertising have changed a lot over the years and it’s just NOT as lucrative as it once was. You need to have a LOT of pageviews to make a decent amount of money from ads. However, that’s not to say you can’t make money with advertising. Plenty of blogs make thousands of dollars per month using this strategy. When you’re a beginner, options are a little more limited for what ad companies you can work with. Most newbies I know have started with Google AdSense. Once your blog starts to grow you’ll have a LOT more opportunities to make money with ads. Now that my blog is bigger, I work with a company called AdThrive to manage the ads on my site. You have to have 100,000 page views on your blog before they’ll accept you into their network, but your earnings can really skyrocket! Sponsored posts are another way you can make money on your blog. Sponsored posts, whether they be on your blog or on your social media pages, are when a company pays you to talk about their brand or product. Sponsored posts are a really popular way for bloggers to make money. This is how I made most of my blogging income for the first couple of years. It’s also possible to work directly with a company and cut out the middle man (often meaning you can make more money). Once your blog starts to grow, you’ll probably start getting emails from brands wanting you to promote their products. You can also reach out directly to brands you love and pitch a collaboration. Sponsored posts do have their downside though. First of all, the earning potential just isn’t as high as other forms of monetization. Part of the reason is that it’s not at ALL passive. Basically, you’re trading hours for dollars. Sponsored posts are a LOT of work. The posts often take far longer to write, and you have to make sure you have amazing pictures. The other downside is that unless you have an ongoing relationship with a brand, the money just isn’t as consistent and you’re constantly scrambling to line up sponsored posts for the upcoming months. That being said, I know many bloggers who use sponsored posts are their primary means of income and have GREAT success! Affiliate marketing is when you make money by promoting other people’s products. Basically, you get a certain commission everytime someone buys a product through an affiliate link you shared on your blog. Affiliate marketing is a great way to make money blogging because it’s partially passive. Sure, you have to go through the work of finding the affiliate opportunities and sharing them on your blog. But once that link is there, it’s there forever. You can add an affiliate link tomorrow and if someone lands on that blog posts and buys through your link two years from now, you still get paid! Affiliate marketing also means that someone else does ALL the work in creating the product, and you just have to market it! 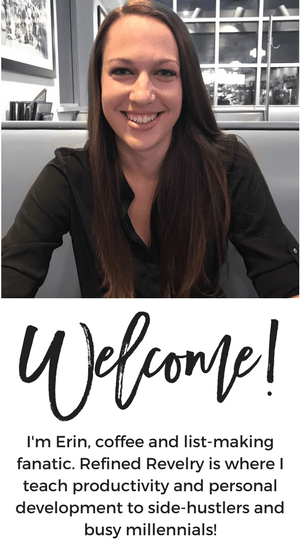 If you want to get started with affiliate marketing, I HIGHLY recommend taking Michelle’s course Making Sense of Affiliate Marketing. Michelle makes over $100,000 every MONTH from her blog (crazy, right??) so you know she knows what she’s talking about! I didn’t make any money from affiliate marketing before taking Michelle’s course, and now it’s one of my primary means of making money on my blog. A great way to make money blogging is by selling digital products on your blog. Some examples of digital products you could sell include eBooks and online courses, printables, stock photos, etc. There are a couple of reasons why digital products are a GREAT way to make money online. First of all, unlike with affiliate marketing, you get ALL of the income because it’s YOUR product. Digital products are also somewhat passive because you create the product ONE time, and you can sell it thousands of times! Your earning potential is literally unlimited! When it comes to making money selling digital products, Six Figure Blogger is my FAVORITE course. They walk you through every step of coming up with a product idea, creating the product, and actually finding people to buy it. In addition to digital products, you can also use your blog to sell physical products (either right on your website, or by directing shoppers to a third-party site like Etsy. There are SO many options when it comes to physical products. Make sure to think about what physical products would fit your already existing brand. If you’re a food blogger, it doesn’t make sense to start sending people to your shop where you sell jewelry. It should make sense in your business! 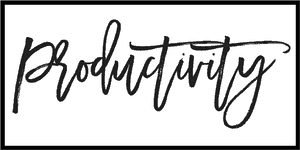 For example, I write a LOT about productivity on my blog, as you may have noticed. So when I started my Etsy shop, I KNEW I wanted to create products to help people be more productive. 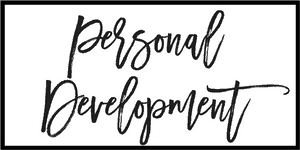 The notepads and to-do lists I sell in my shop fit perfectly with my blog! Freelance writing is when you get paid to write articles for other blogs and websites. If you’re not making money ON your actual blog yet, freelance writing is a great way to supplement your income. You can get paid to write one-off articles for websites. Or, even better, you can become a contractor for a website and write a certain number of articles for them per week or per month. This is a great option if you can do it because then you’re securing income for the foreseeable future and have a pretty good idea of how much income you’re going to make. The nice thing about having your own blog is that when you’re ready to start applying to freelance writing gigs, you’ve got an entire website full of writing samples to show them! 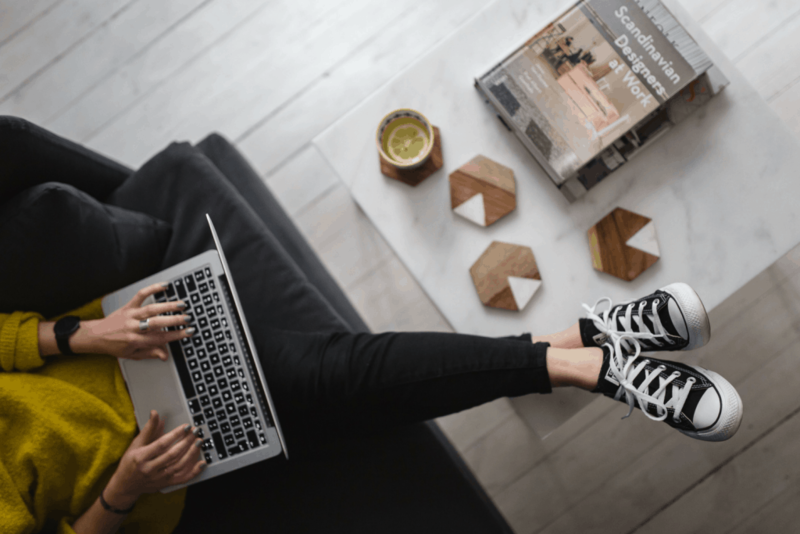 As you can see, there are a LOT of options when it comes to making money on your blog, whether you choose to go with ads, sponsored posts, affiliate marketing, products, or freelance writing. And the six options I talked about in this article aren’t even the only ways to make money online – there are SO many more! If you’re ready to making money from your blog but aren’t sure how to get started, I highly recommend Make Money Blogging for Beginners. This course is designed to help beginners make their first $1,000/month on their blog! This is a great post! I’m pinning it because it’s one of the most common questions I’m asked – how do you make money blogging? I’ve recently starting thinking about using quickbooks. I’m glad to hear that you like it. I’d love to hear more about your business side of blogging. I know you mentioned your blog bank account! At what point did you decide to set it up? Thanks! That’s great! It’s been a HUGE help! I actually didn’t set up a bank account until I had been making money for almost a year, but I really recommend doing it as soon as you start. I have mine set up with Capitol One 360 and it’s free! Thank you again for these tips! I’m definitely pinning this so I can reference it later. That’s awesome! I definitely know the feeling, Kristen! All great suggestions! Quickbooks sounds really helpful for keeping everything together! Yes it’s been a life saver! I’ve heard good things about QuickBooks but I have been using freshbooks and I love it. I’ve heard good things about Freshbooks as well! Great tips! I definitely prefer to work directly with brands on sponsored content versus networks. I used to prefer the networks because it felt like a bit of a safety net, but I totally agree with you now! SO TRUE! Traffic needs to come first! I think a lot of new bloggers don’t realize that! I totally agree – thanks, Lacey! I love working with brands. It’s led me to write really creative content that I wouldn’t have thought out otherwise. These are all great ways to monetize. I’ve been using some affiliate links and working on growing my sponsored content. 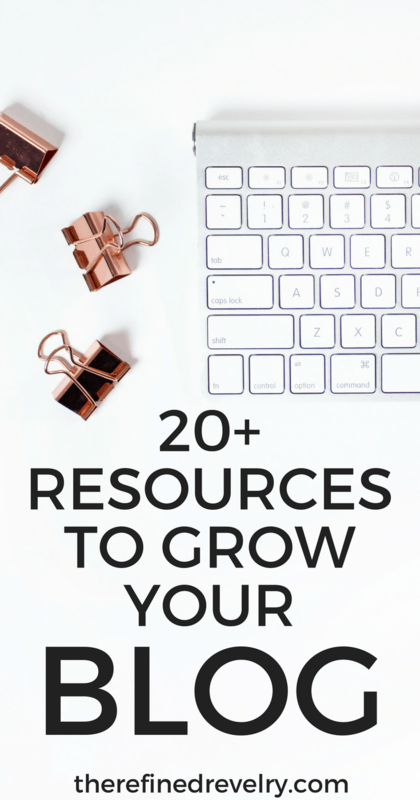 This Content shared above is really helpful to many and the people who want to learn the ways to monetize a blog can get help from this.Thanks Erin.You Rock!!!!!!! I think the best way to monetize a blog are through affiliate marketing and digital products. I personally haven’t done any sponsored posts yet or Advertising through companies like Adthrive. Although, I’ve heard a lot of great things about that company. Like you said though, you have to have focus on traffic. My blog is still fairly new and doesn’t get a lot of traffic yet. Right now my focus is on growing my traffic then I’ll focus more on monetization. Although, it’s nice to know that there are several different options one can use to monetize their blogs. I so agree with you! Sponsored posts can be great, but they take a lot of work. Affiliate marketing and digital products are so much more passive and you can make a lot more money without exponentially increasing the amount of work!